Rebel's Yell: Are radio stations in Mississippi self-censoring the gay-friendly country song 'Follow Your Arrow'? Are radio stations in Mississippi self-censoring the gay-friendly country song 'Follow Your Arrow'? 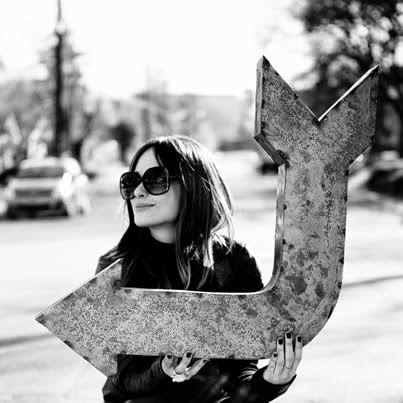 Kacey Musgrove's gay-friendly Follow Your Arrow was named Song of the Year at this year's Country Music Awards -- but a lot of us in the Magnolia State had never heard of it. How could folks who listen to country music each and every day on the radio draw a blank over a song that was named Song of the Year? Some radio stations down here won't play it. Musgrove's Merry Go Round gets routine play, but the gay-friendly Follow Your Arrow? Not a chance. The media is Mississippi is known for timidity. Radio stations are apparently no exception. Very often what's not reported is far more important that what we see in our newspapers and televisions or hear on our radios. For most of the media in Mississippi, gay people do not exist. Far easier to pass over the matter in silence (and, conveniently, not have to worry about offending advertisers) than to be forthcoming. By self-censoring, the media hope to ... what? Spare viewers and listeners from having to consider the fact that gay people exist in their midst? Do these media outlets believe the people of Mississippi are too stupid or too childish to be able to cope with this information? Do they believe they are doing us a public service by keeping silent? Do Mississippians want their media to treat them as though they were children who need to be protected from the realities of the world? And why, knee deep into the 21st century as we are, do the media in Mississippi feel the need to censor themselves?